Maine’s Master Gardener Program provides participants with at roughly 60 hours of in-depth training in the science of horticulture. Trainees receive current, research-based information from Extension educators and horticulture experts. In return, trained Master Gardeners volunteer their time and expertise in many ways for community programs and activities. As part of a national Cooperative Extension effort, Master Gardeners are recognized as well-trained practitioners who serve their communities. Master Gardeners can help direct their own advanced training. 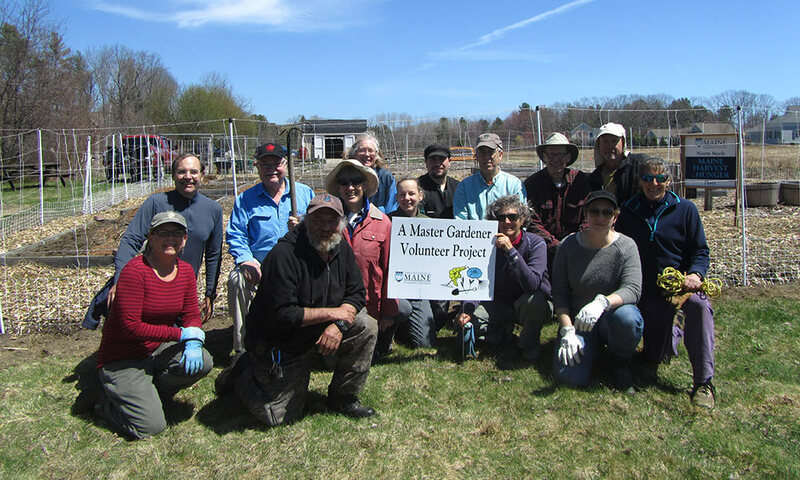 Here are examples of how Maine Master Gardeners have helped each other learn more: In several Maine counties, Master Gardeners have created demonstration gardens, which are excellent places to teach other gardeners at field days, workshops and tours. They also provide places where Master Gardeners can experiment with new techniques, design theme gardens and hone their gardening skills. For more information contact University of Maine Cooperative Extension Cumberland County at 207.781.6099 or 1.800.287.1471 (in Maine) or kathleen.mcnerney@maine.edu. Dates: 17 Friday afternoons from February 1, 2019 – May 31, 2019 with no class on Friday, May 24 due to the holiday weekend. Time: 12:30 – 4:00 p.m. Application: Applications are no longer being accepted. For more information or to request a reasonable accommodation, contact Pamela Hargest at pamela.hargest@maine.edu or 207.781.6099.